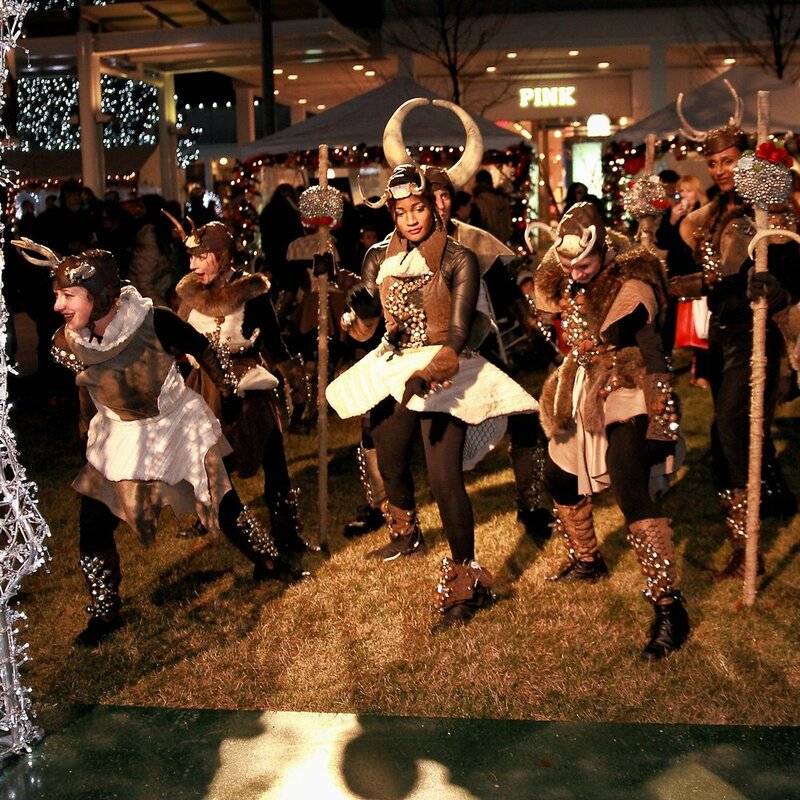 This pack of highly athletic roving characters wear real stag-horn aviator caps and sculpted percussion costumes, dressed in hundreds of jingle bells that add an audio component to their physicality. Bell sticks in hand, they are a wild and wonderfully interactive addition to any event. Available in a Herd of 5 or 8.